Ariana Grande has been on a ‘90s kick as she gears up for her upcoming headlining performance at the 2019 Coachella Valley Music and Arts Festival. TMZ confirmed on Friday, April 12, that the “Thank U, Next” singer, 25, will be performing with ‘NSync, sans Justin Timberlake, in Indio, California, on Sunday, April 14. The pop star shared two boy band-inspired videos on Twitter one day prior, which led fans to speculate that they may be her special guest when she hits the stage. Ariana first tweeted an adorable throwback video of her mom, Joan Grande, holding her as a child in the audience at ‘NSync’s July 1999 concert in Sunrise, Florida. Justin Timberlake, JC Chasez, Joey Fatone, Lance Bass and Chris Kirkpatrick formed ‘NSync in 1995. They went on to release three studio albums, including the record-breaking No Strings Attached, before splitting up in 2002. 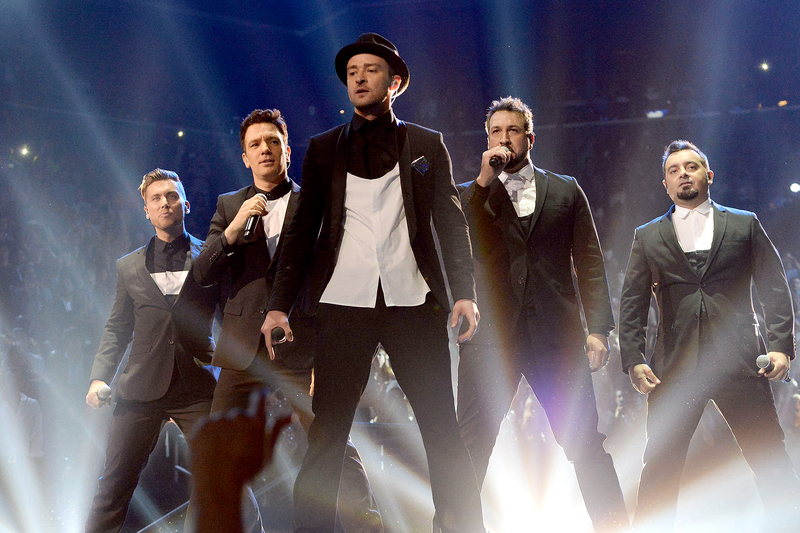 The band reunited for a one-off performance during Timberlake’s career-spanning medley at the 2013 MTV Video Music Awards and more recently received a star on the Hollywood Walk of Fame.